This is a yearbook sponsored by the British Comparative Literature Association in the belief that, when English studies are being redefined, comparative literary studies represent a major direction forwards. 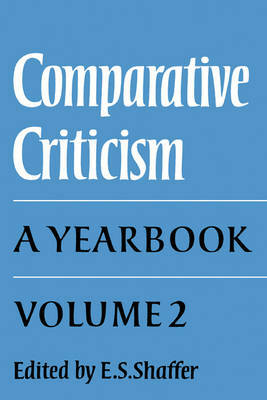 The yearbook addresses itself to questions of literary theory and criticism; to comparative studies in terms of theme, genre, movement and influence; and to interdisciplinary topics. It includes translations of literary, scholarly and critical works; substantial reviews of major books and tendencies in the field; and the first bibliographies of comparative literature in Britain. Volume 2 is concerned with the relationship between the text and its reader, a topic of particular interest in current criticism. Some of the major theorists and critics in the field are represented: Mikhail Bakhtin, the Russian theorist whose important work, already influential in France, has only begun to be translated into English in recent years; and the contemporary critics, Wolfgang Iser and John Preston, who have led the way in the exploration of the 'aesthetics of reception' in the English novel.